Captain Curran's sailing blog: How to sail your sailboat: mixing a cocktail while underway. There are a few, precious moments when a Captain can relinquish command, release the tiller and hand over the helm to a trusted crew member. In this rare moment of reprieve, it is not unheard of for the Captain to mix up a cocktail. But, this must be a quick endeavor because a good Captain should never fully trust his crew, especially when they are at the helm. You need to get in and get out of the galley in less than a minute. You like your crew, but you don't love your crew. Back to the cockpit! The key to the Captain's cocktail is simplicity. Here are a few considerations. You may or may not have refrigeration. To be safe, assume not. I rarely do while out sailing. You may have ice at first, but ice melts eventually. Assume you are one week out to Sea and the ice has melted. Concerned? You should be. They never go bad. They are never flat. But they are often room temperature. Ginger ale and bourbon will not let you down. 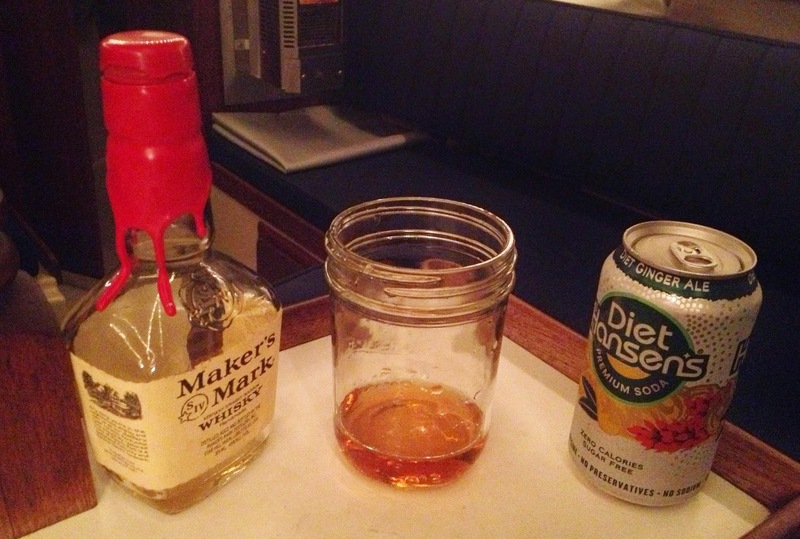 You have a jar, you add the bourbon, you add the ginger ale. Limes. Limes also do not need refrigeration and are good in cocktails as well as food. Bourbon and ginger is a solid drink choice. I wholeheartedly agree, limes are a great addition to any cocktail.